Rainbows. I love rainbows. Don’t all moms love rainbows? How about organic cotton rainbows and polka dots? 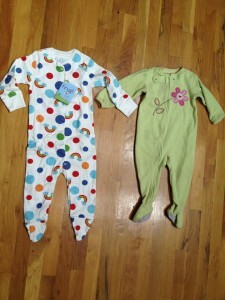 How about organic cotton rainbow and polka dot baby clothes? 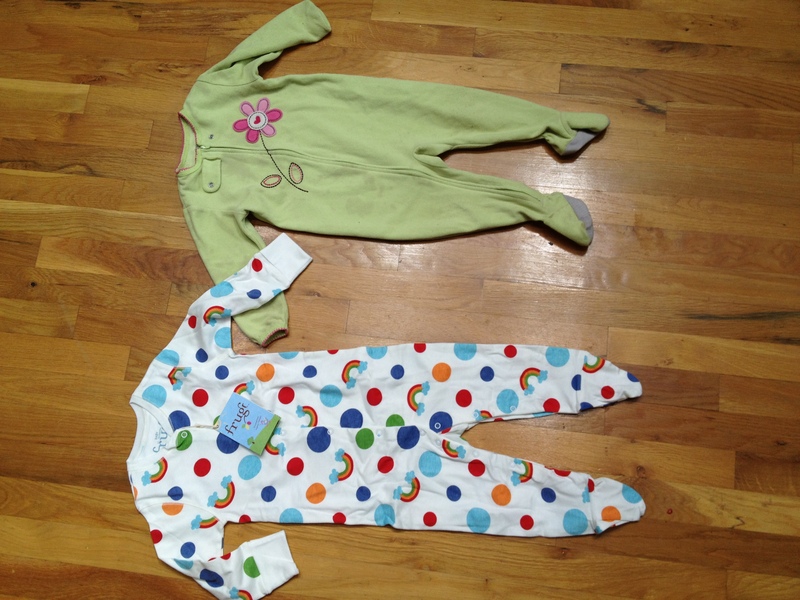 How about organic cotton rainbow and polka dot baby clothes that fit over cloth diapers? So you could probably fit it on your small two year old. At least I’m pretty sure I could have fit it on my small two year old. Back when she was two. It’s made by Frugi, a UK-based company that makes organic, ethically manufactured, fair-trade clothes for babies and kids. With really beautiful bright colors. And super-soft cotton that’s great for babies with eczema or sensitive skin. And I mentioned that they’re designed to fit over cloth diapers, right? 1) It has snap openings down both legs. No more manipulating your baby’s leg to squeeze it into the leg of the suit that doesn’t unsnap. A really annoying feature of bodysuits that’s enough to make you give up on bodysuits forever. But not Frugi bodysuits. 2. The sleeves have a soft cuff that can fold over your toddler’s hands, just like newborn bodysuits do. In case you’re worried your toddler’s hands will get cold. Or if your toddler still scratches her face while sleeping. 3. It’s really soft, even unwashed. I’m sure it will only get softer with time. So. If you have a baby that is younger than 18 months, enter to win with a comment below! Use the Rafflecopter widget to record your entry. Get extra chances to win by following Organic Baby Atlanta and Frugi on Facebook and Twitter. Oh — and if you can’t wait for the raffle and just have to have one of these now, use the code NI-NA to get 15% off your purchase on the Frugi website. Disclosure: I received no compensation in exchange for this posting. Other than the bodysuit. Which isn’t really compensation, since I’m giving it to you. All opinions are my own. I would love to try this bodysuit – seems wonderful and perfect for the cloth diaper booty!! Oh my goodness. these are so cute! Would love to have this for my sweet cloth diapered boy! Be nice to have a sleeper that actually fits over his giant night cloth diaper.